A door closer is a device that shuts a door after it's been opened, either by a person or mechanically in the case of automatic doors. They provide convenience since nobody has to reach back and close the door; and safety by ensuring that doors don't slam too fast and also preventing the spread of fire. 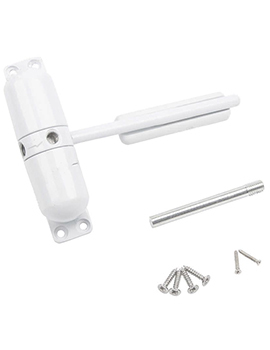 At Build World, we stock a range of Door Closers. Click to Explore our range, and buy the right that suits your requirement. There are four categories of door closers: Concealed in the door, concealed in the floor, concealed inside the frame, and surface-mounted. At Buildworld, we offer a variety of different models, from overhead closers to floor-mounted designs. As well as closers, our range also includes related hardware such as door checks and door holders. Concealed closers are fitted into the top of the door, or inside a specially cut niche in the door frame in the case of frame-mounted models. Once the door is closed, concealed closer mechanisms are virtually invisible. This makes them the ideal option where a visible door closer might clash with the overall style of the building, or where there are physical features close to the door that would obstruct an external door closer. Door holders allow doors to be kept in an open position without the use of awkward door-stops. There are mechanical as well as magnetic door holders. Door checks are devices that allow easy opening doors to open and close smoothly and safely, rather than slamming. They also prevent doors from swinging dangerously backward and forwards. Floor spring closers are fitted, so the main body of the unit is flush with the floor. This makes them perfect for situations where a large, bulky closure would not be possible. Floor spring closers are also visually unobtrusive, presenting only an attractive metal face plate. Because of this, floor spring closers are an excellent choice for use with transparent glass doors. An overhead door closer attaches to the top of the door, ensuring that it can't be left open accidentally but also preventing the door from slamming too quickly. Overhead models are functional and inexpensive. They're also very sturdy -- larger models can be used with heavier doors. Overhead Closers can be surface-mounted. Why select us for Door Closers? 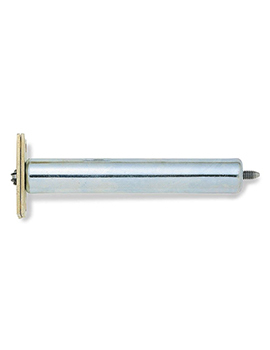 Our door closers are made to the highest specifications. Both functional and attractive, our range of quality products has something to suit any building style. With a wide variety of designs in popular types and finishes, we're your number-one choice.